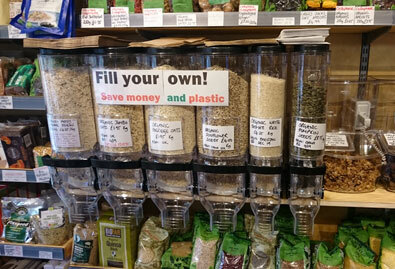 You can either use the paper bags provided or bring your own containers, and we will weigh them for you at the till. These bulk foods are all organic, and we are keeping our prices as low as we can. 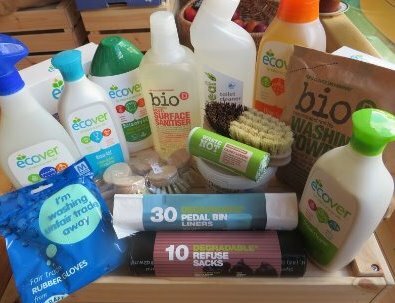 Just another way we are reducing plastic waste! We also offer other refills to customers, enabling you to save money while also reusing glass or plastic bottles. Just bring back your old bottle and we will refill it for you.